A Museum Floats Down the Chicago River #ArtTuesday « Adafruit Industries – Makers, hackers, artists, designers and engineers! A river cuts across Chicago, flowing past Bucktown in the north and Chinatown in the south before emptying out into Lake Michigan. More than the lakefront, the Chicago River belongs to the people, reaching neighborhoods outside of the downtown hub and interacting with communities of varying affluence, racial makeup, and distances to the lake. 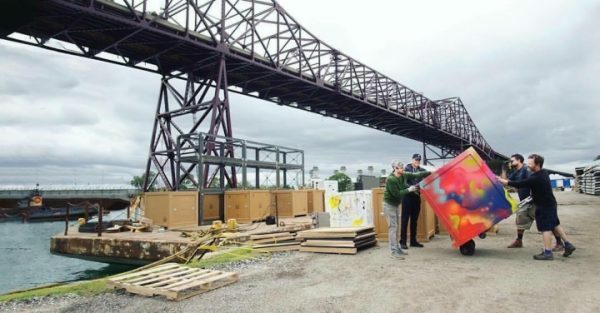 Beginning this week, a Chicago-based arts collective called the Floating Museum is adding a new congregation point along the river. 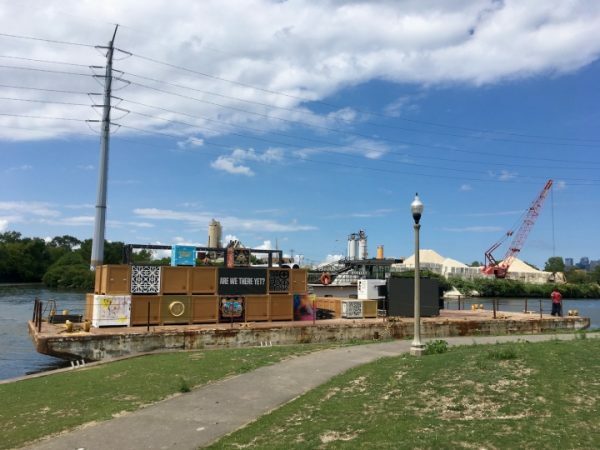 The collective is made up of a core team of six — Faheem Majeed, Jeremiah Hulsebos-Spofford, Andrew Schachman, Avery R. Young, Megan Sauve, and Kate Schlachter — and their newest installation, River Assembly, sits on a barge at Park No. 571, docking at various locations between August 7 and August 27 to bring arts programming to audiences along its route. The Floating Museum’s River Assembly literally floats. The barge is modeled after industrial rafts that carried goods and raw materials down the Chicago River between the 1830s and 1980s, and it measures 26 feet by 100 feet — small compared to the nearby Studio Gang-designed Eleanor Boathouse by the water’s edge. Like all of the collective’s exhibitions, this one challenges the idea of a museum as a physical, immovable site.